My Grandma inside the igloo! My grandma contracted polio when she was nine. She was so sick her mother had to push her in a baby carriage to walk her to the hospital. She was embarrassed and mad at her mom because she was nine and didn’t belong in a baby carriage. No one else in the Waterbury area had been diagnosed with polio so at first the doctors didn’t know what was wrong. Before long there was an entire ward of children with polio. For six month, my grandma was strapped to a wooden plank to immobilize her. It was the early thirties. The hospitals didn’t have air conditioning and she talks about how hot it could get in the room she shared with a group of polio-infected children. Those that died were wheeled out. One of her best memories from her time in the hospital was on summer Saturday nights when the nurses would wheel patients who were well enough out onto a patio for fresh air. The nurses would turn on music and dance. When it was time to go home the doctor told her mother that she was too weak to move and that she probably wouldn’t walk again. That wasn’t an option for my great-grandmother. She was a poor, Italian immigrant with six children. Back in Italy she was made to massage and move her father’s legs to reduce the pain of his arthritis. So she did the same thing to my young grandma. She moved her legs and made her walk even though it hurt. You would never know my grandma had polio. 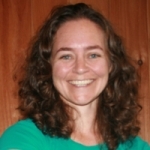 For years as an adult she walked three miles a day because she had a very forward-thinking doctor who told her it was the best thing she could do for her health. She’ll be ninety in February. 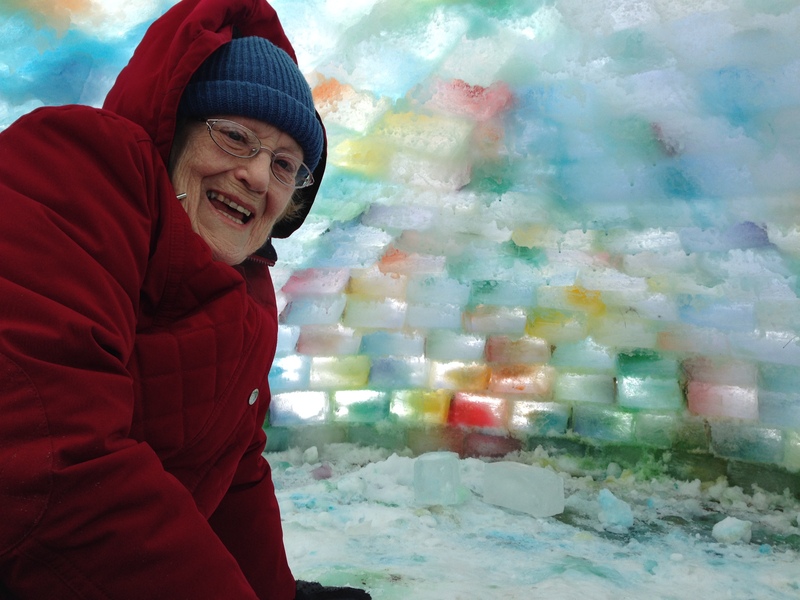 But last year for her 89th birthday she came over my house and crawled inside the igloo we’d built. I think she is the perfect example of how you have to keep moving and demonstrates what a difference movement can make. Well, Maggie, your grandma, my mother, does not look 89. I remember Grandma doing daily exercises for her back, and dancing down the hallway to Broadway’s show tunes. Her agility still inspires and amazes me. Your advice to “Keep Moving” is more than good advice; it is necessary.